It applies to the overvoltage protection of the signal in the monitoring system with the integration of power, control signal and the video signal, to keep it from the damage caused by induced overvoltage, switching overvoltage and electrostatic discharge, etc. It has such features as large current flow capacity, multilevel protection, quick response and small insertion loss. Input represents input end and output represents output end. Input end connects to input transmission line and output end connects to the protected equipment. The grounding conductor and the grounding bus of lightening protection system must be connected stably. Protection device should be put as close as possible to the protected equipment. 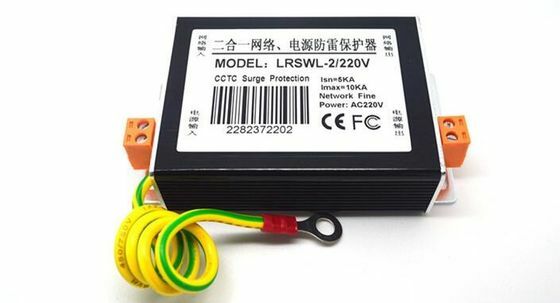 The protection device doesn’t need special maintenance, but if it is damaged by high voltage or lightening, (when the LED indicator light is off, it just means that it has lost the function of lightening protection), please replace it timely.